Seasonal and annual trends in Australian minimum and maximum temperatures were studied. Records of daily minimum and maximum temperatures averaged over each month, extending as far back as 1856 were examined. Over 1/2 million monthly temperature values were retrieved from the Australian Bureau of Meteorology for 299 stations. Each station had an average of 89 years of observations. Significant step discontinuities affected the maximum temperature data in the 19th century when Stevenson screens were installed. The temperature trends were found after such spurious data were removed and averaged over all stations. The resulting trend in the minimum (maximum) daily temperature was 0.67 ± 0.19 (0.58 ± 0.26) oC per century for the period 1907-2014. Decadal fluctuations were evident in the maximum daily temperature with most of the increase occurring in the late 20th century. The minimum and maximum daily temperature trends were also found for the various seasons. The minimum daily temperature trend exceeded the maximum daily temperature trend for all seasons except during June to August. The largest increases in minimum temperature as well as the smallest maximum temperature increases were found for the region north of 30 oS latitude and east of 140 oE longitude. There was also evidence that urban stations had greater increases in maximum daily temperature than those located in a rural environment. 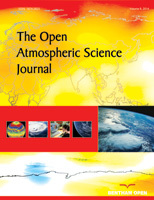 Keywords: Minimum/Maximum daily temperatures, Seasonal effects, Step inhomogeneity detection, Trends.